On Saturday, both Wittenberg men’s and women’s lacrosse teams hosted the Denison Red Devils, but it wasn’t just an ordinary game. The Wittenberg and Denison communities were pulled together to make a difference. 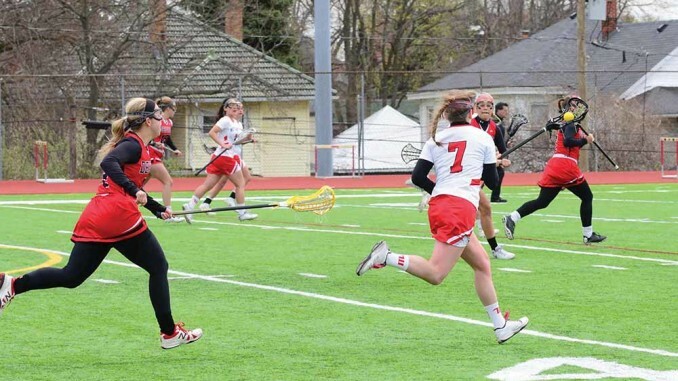 Haley Schroeder is a junior and a third-year lacrosse player at Wittenberg. She wanted to help her family friend, Louis Wood, or Lou, who was severely injured in a car accident in September 2015. Wood is a Granville High School student who sustained brain injuries and “is honestly a miracle,” Schroeder said. To help with medical expenses, Schroeder planned the event, “Lax for Lou.” The event took place during the men’s and women’s lacrosse games, and the funds raised were donated to the Wood family. “Coming home for winter break and seeing Lou for the first time since the summer in a different state really affected me. I wanted to be able to do something for him and his family,” Schroeder said. With Denison located in Granville, both Schroeder’s and Wood’s hometown, the NCAC matchup was the best idea for the fundraiser, according to Schroeder. “I think that the Granville community has done so much for the Wood family—and continues to do so—but that doesn’t mean only Granville can help. Wittenberg is small, tight-knit, and I believe can come together to support someone so special,” Schroeder said. She was very happy with the support from her coaches and teammates throughout the entire planning of the event.